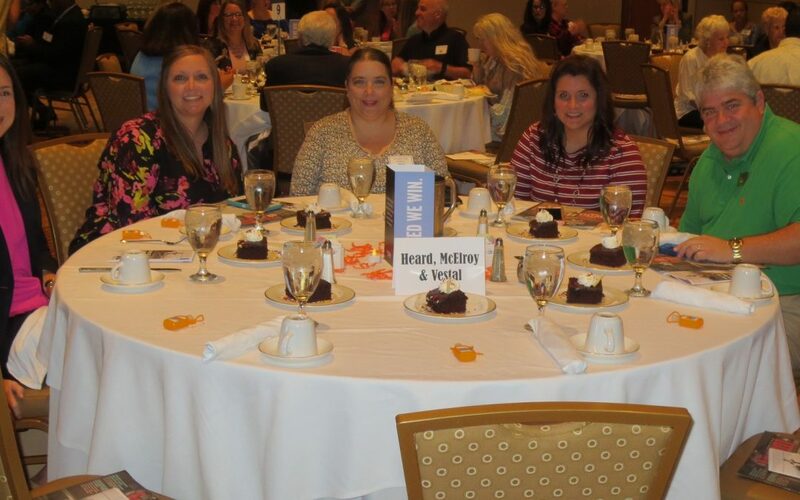 Heard, McElroy & Vestal has always been a strong supporter of United Way of Northwest Louisiana and answers the call to help people in our community. Berton Heard, founding partner of HMV, began the tradition of supporting the United Way many years ago and he would be proud of their continued support today. As a Pacesetter company, HMV runs their campaign prior to the United Way’s general community campaign in an effort to ‘set the pace’ for others to follow, and they always have great results. Heard, McElroy & Vestal partners can be found at any United Way event including Annual Celebration, Fill the Bus, and Day of Caring. At last year’s Day of Caring, HMV had three teams across the community at the Food Bank, Girl Scouts, and Heart of Hope. The group at the Food Bank had an outdoor painting project, while the groups at Girl Scouts and Heart of Hope worked on planting and landscaping to beautify the grounds. This was some hard manual labor that our nonprofit partners had requested and HMV was up to the challenge. Each year, we appreciate and look forward to working with Heard, McElroy & Vestal.